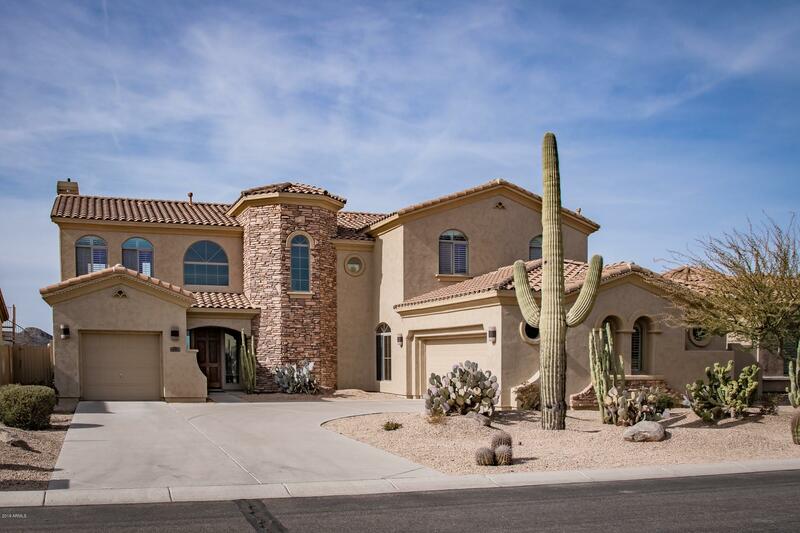 Meticulously maintained, lightly lived semi-custom Toll Brother mansion overlooking the private Superstition Mountain golf course with all the right designer touches to WOW you. Over $250k in upgrades were put into this 6-bedroom, 3.5 bath, 3 car extended garage by the original owner, see the documents tab for details. Seller has recently updated the interior and exterior paint, redone the irrigation lines for the landscaping, added a tank less instant water heater, dishwasher and in-cabinet microwave. Custom touches abound that include double coffered ceilings and architectural columns, a chef's kitchen, Rainforest marble in the master bath with a jetted tub, slate tile and hardwood floors throughout the house except the guest bedrooms. Schedule your showing TODAY!